Find 2018 Halloween haunted houses in New Jersey at Funtober. 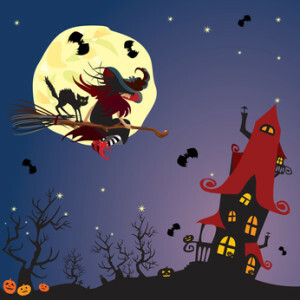 We list all the haunted houses, haunted trails, haunted corn mazes and Halloween fun in our directory. NJ is the ultimate bedroom community. So you know the Jersey shore in 2018 is likely to be hiding ghosts, vampires, and zombies in the haunted houses in New Jersey. Spend a night out with your friends this Halloween and come face to face with some zombies. Funtober gives you the dates, hours, and locations for spectacular haunted attractions in New Jersey. We have separate attraction links and listings for haunted houses USA, haunted corn mazes, haunted trails, haunted zombie paintball, haunted forests, haunted hayrides, and ghost tours. Opens this year on September 21st. Bane advertises “Bringing Nightmares to Life”. It is open every Friday, Saturday and Sunday in September and most Wednesday through Sunday nights in October. Doors open at 7 pm. There is free parking. They play on every one of your fears; claustrophobic, separation anxiety, clowns, and more. This year Bane is even more interactive than ever with a brand new entrance and a terrifying exit! Get ready for the scare of your life! Bane has over 28000 Facebook likes. Expecting a great season beginning September 21st. The asylum is an interactive indoor haunted house with actors, Hollywood quality sets, special effects and much more in their 13,000 square foot scare attraction. It is a warehouse located in an industrial complex. It has both basic and combo tickets available. It opens at 8:00 pm. Note this place has more events that run throughout the year. Check out their package for monthly activities. Open Friday and Saturday nights in September. Open most Thursday, Friday, Saturday, and Sunday nights in October. They also host full contact, blackout, and zombie hunt nights. Brighton Asylum has over 32000 Facebook likes. Back again starting on September 28th. Frightfest is 45 minutes of fright covering 200 acres on Schaefers Farm. As you go through their four attractions you will ride, walk, and run for your life. The attractions are the Hair Raising Hayride, Trails of Terror, Massacre Maize, and The Carnival of Chaos. Frightfest is open every Friday, Saturday, and most Sundays plus additional dates (see web page). It opens at 7 pm and runs until 10 pm on Friday and Saturday or 9 pm on Sunday. Advertised as a “House of Horror” The Haunted Asylum is put on by the Middlesex County 4 H Teen Council. They run Friday and Saturday nights starting in October. Open from 7 pm to 11 pm. Tickets available for the haunted house or the hayride. If you are located in Southern Jersey, you might be better off crossing the state lines for a haunted house in Philadelphia. Or find a haunted house in one of these neighboring states. Have you visited one of these haunted houses? Future readers would be interested in hearing what you thought. Did you have fun? Was it worth the price? Would you recommend it to our readers? Any suggestions to maximize your experience? I’ll gladly publish what you send me and give you an over the internet hug.